"If It's Too Good To Be True, It's Not True." They say this quote is the best investment advice. We often hear this saying but sometimes we are still carried away by sweet promises. 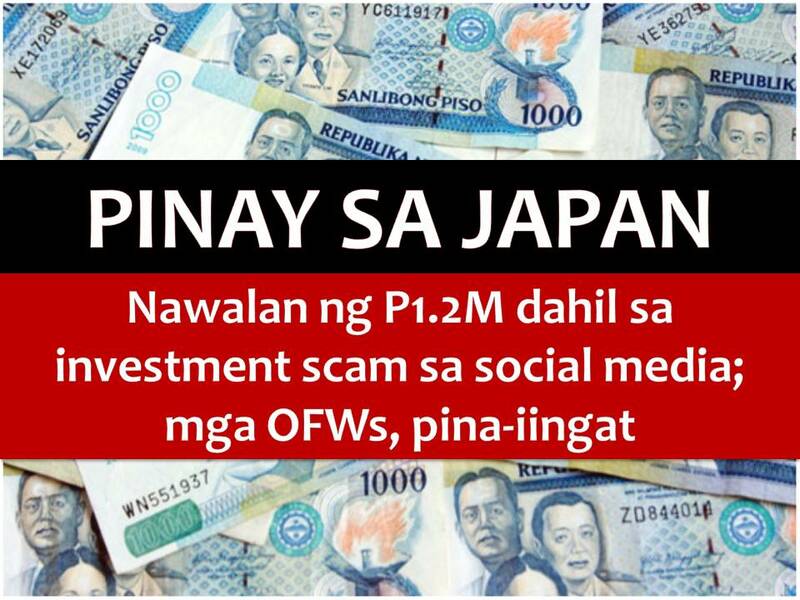 Just like a Filipina based in Japan who falls into investment scam offered on social networking sites. The victim, "Sarah", not her real name said, she and her friends in Japan loose up to P1.2 million pesos in an investment scam. 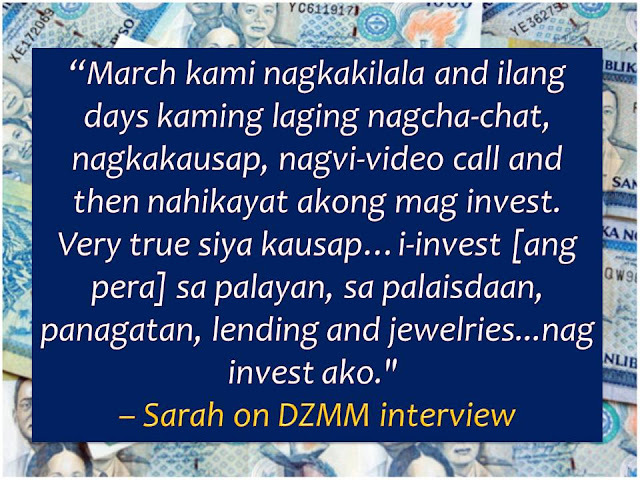 Sarah believes that the business offer presented to her by a woman who introduced herself as "Princess Polinar Micabalo" from Ozamiz City, was true. She met Micabalo in a group chat from social networking site Reahlity Hartz Hardships or Your Helping Hands Profit Sharing and began to woo her into investing in several opportunities. Sarah invested P180,000 and after a month, she received P225,000 payout. Because of this, the victim encourages her Japanese friends to also invest their money in the business. Their pooled investment reached P1.2 million. According to Sarah, she did not doubt Micabalo because she was very transparent to talk to and even sent her two "valid" identification cards and a contract and also posted her photos online. But after the money was deposited, she heard nothing from Micabalo and her social media account has been deactivated. 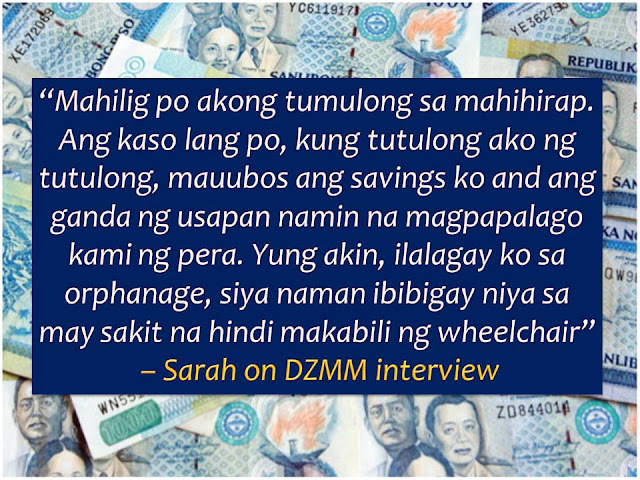 In the end, Sarah still delivered on her financial promise to her friends in Japan. Sarah added, she learned that Micabalo has been scamming people, especially OFWs, for years now. She also warns OFWs who wants to invest their hard-earned money to investigate first the offered investment before giving in. Accordingly, Micabalo uses different investment names to entice people but uses the same name and photo to transact with would-be-victims.